This week, we saw a lot of the Google ranking tools go nuts but it is probably related to the indexing bug. 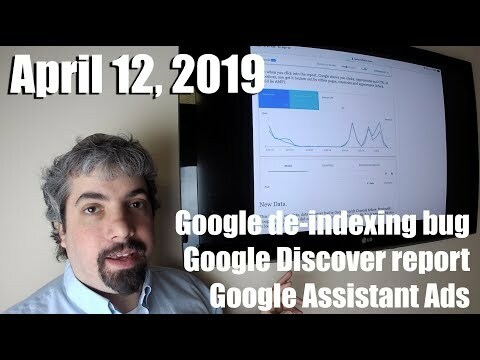 Google said after 6 days of trying they finally fixed the de-indexing bug. Google launched a new Google Search Console report to show you your Google Discover traffic, we can call it position minus one. Google Search Console launched a new search appearance filter for AMP Stories and Android Apps. Google also removed the non consolidated version of the performance report. Google dropped the sort by date filter for web search but added before: and after: search operators. With Google+ going away, Matt Cutts wants Google to bring back the + search operator. Google also has potential bugs with the rich results and mobile friendly status. Google is testing a more modern version of GoogleBot that can render the more modern web. Google cache is out dated but Google says don’t worry about it. Should Google index all of the web and not cherry pick the best to index? Google says if you are personalizing the experience of a user, tweak the content on the page versus redirect the user to a new page. Google posted SEO advice on Vue.js web apps. Google launched images in their sitelinks on mobile. Google Assistant has officially launched a new design this time with search ads. That was this past week in search at the Search Engine Roundtable.